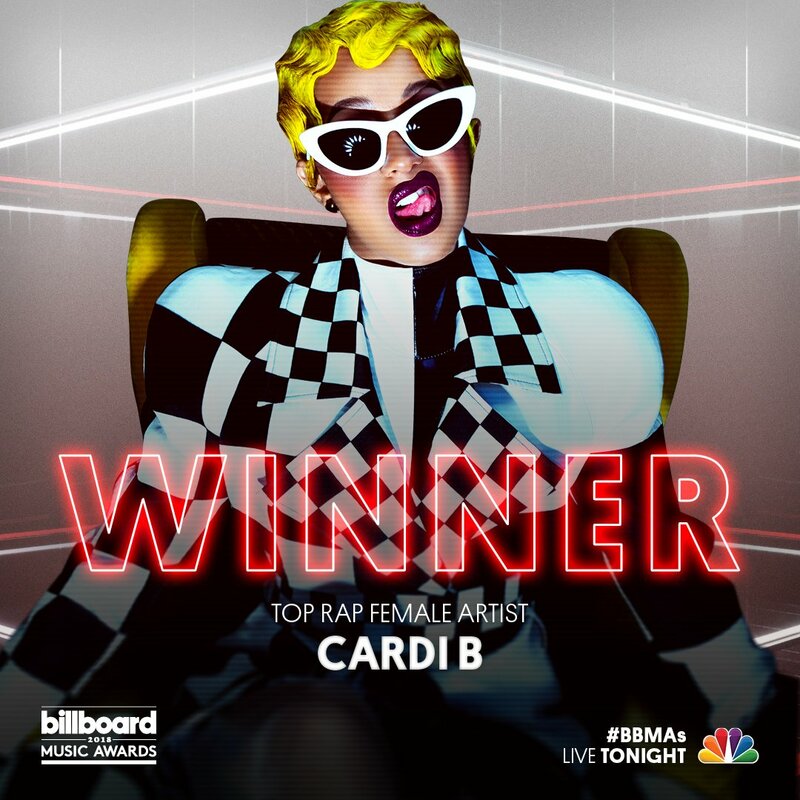 Wave 89.1 FM - Hotspot: Cardi B leads 2019 Billboard Music Awards with 21 nominations! CARDI B LEADS 2019 BILLBOARD MUSIC AWARDS WITH 21 NOMINATIONS! The nominations for the Billboard Music Awards are in and Cardi B is leading the pack with 21 nominations in 18 categories. Yes, she did that! The “Bodak Yellow” rapper, who won as the Top Female Rap Artist last year, sets the record for first female rapper to have the most nominations. She’s competing against herself in numerous categories including Top Selling Song and Top Hot 100 Song. She also made history at the Grammys becoming the first solo female rapper to earn Best Rap Album. Cardi B’s nominations include Top Artist, Top Female Artist, Top Rap Artist, Top Selling Song and Top Rap Album. She’s credited for three multi-nominated songs, “I Like It,” “Girls Like You” and “Taki Taki.” Do you think she can sweep the BMAs? Kelly Clarkson is set to host the awards show at the MGM Grand Garden Arena in Las Vegas on May 1.